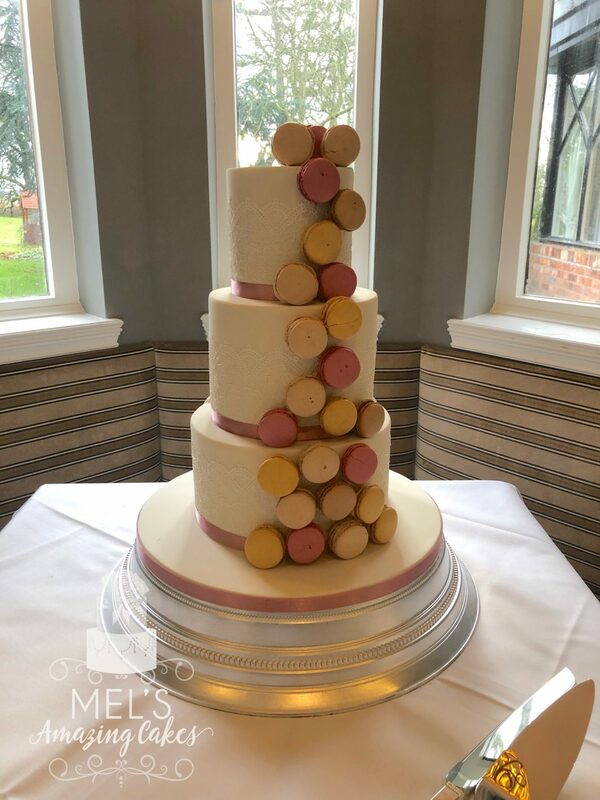 A 3 tier white cake with edible lace on each tier. 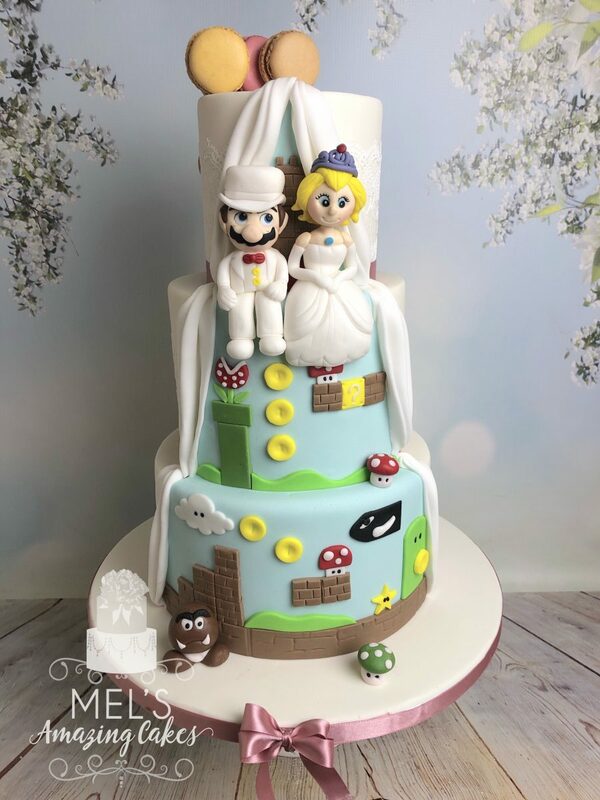 With cascading Macarons and a reveal at the back featuring Mario and Princess Peach in wedding attire with a Super Mario theme. 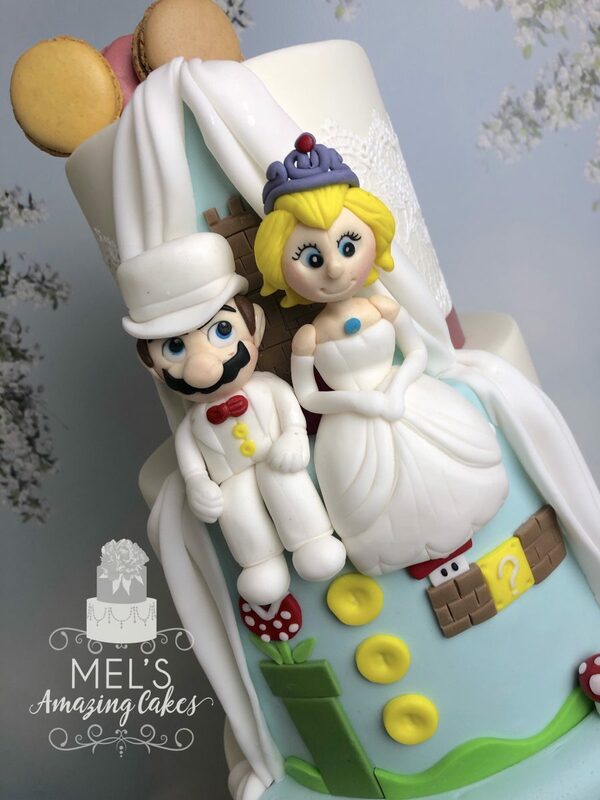 This cake can be made in other sizes and styles to suit your requirements. Please contact us for more information.